peter@sydneybrandingservices.com.auWhether its sophisticated print design, creative advertising or a stylish website, Sydney Branding Services can deliver the results you're after. If you're looking for excellence in creativity, an eye for detail and a no compromise attitude to production then Sydney Branding Services is ready to offer service and value at a cost that larger agencies cannot match. We liaise with both suppliers and customers supplying written quotes, timelines and documentation which necessitates an intimate understanding of project management, time management, budgeting, evaluation and delivery for every facet of the design process from start to finish . Contact us on either of the numbers below for a no obligation meeting to discuss your requirements. Sydney Branding Services specialise in creating appropriate branding that meets business requirements. 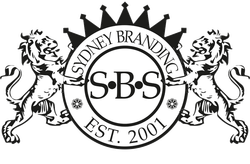 Whether it's a simple logo or a complete branding strategy, Sydney Branding Services creates innovative solutions.